This a dish with the combination of all winter vegetables. You can eat it as a starter to with any kind of roasted meal. 2. Now, Pour a 1/2 tablespoon olive oil into a bowl then peel the root vegetables and cut them into small-sized pieces. 3. Skin the shallots and cut them in two parts. 4. Now, add ? tablespoon oil to the vegetables and mix them well then add pepper and salt to it and mix well. 5. Now, coat the baking tray with olive oil and add the vegetable mixture on to the tray and put the tray into oven for 5-6 minutes. 6. 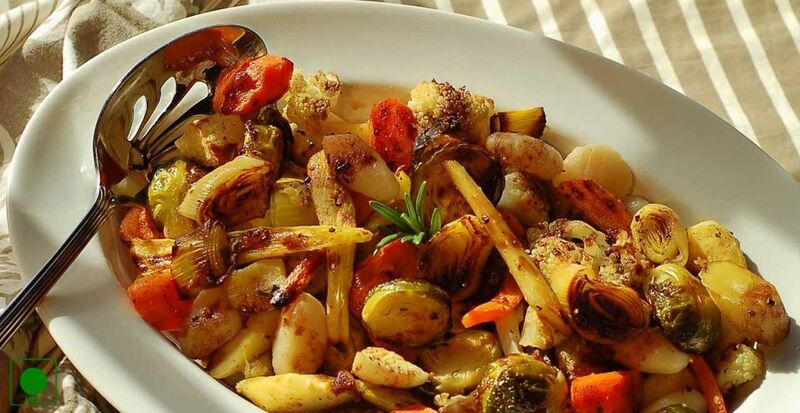 Roast the vegetables for 1 hour. 7. Once the vegetables are roasted properly remove it from the oven and garnish it with parsley and serve hot.